Why Windows 8 Will Likely Be Skipped By Enterprise. It’s no secret that I’m something of a fan of Windows 8 but then again my experience is somewhat biased by my extreme early adopter attitude. I haven’t yet had to support it in a production environment although I have installed it on varying levels of hardware that I have access to and I’ve yet to struggle with the issues that plagued me with previous Windows releases. The thing is though, whilst I’m a firm believer in Windows 8 and the features it brings, I’m of the opinion that it probably won’t see a high level of adoption in the enterprise space as the default desktop OS but that’s not necessarily a bad thing. Despite the fact that Windows 7 has been out for a good 4 years at this point many enterprises are still in the midsts of deploying it within their organisation. This is wholly due to the initial disaster that Windows Vista was which caused the vast majority of organisations to not consider it as a possible upgrade to their Windows XP infrastructure. Past SP1 though Vista was a perfectly usable operating system and by that point many of the OEMs had caught up with their drivers which was the main cause of headaches for Vista users. Still it seemed the damage was done and Vista never managed to gain the market share it needed, leaving many organisations languishing on XP. Not only was this bad for Microsoft in terms of sales it was worse for the organisations who stayed on it. Now systems that were designed for XP became far more entrenched and the rework required for applications to be Vista compatible got further delayed. Thus when it finally came time to move operating systems the cost of doing so (in both real terms and the effort required) was quite a lot higher and the larger the organisation the longer the transition it would take. Indeed the organisation I’m currently working for still has XP (using Netware for directory services no less) is only just getting around to rolling out Windows 7 this year due to the numerous number of applications that require remediation. Whilst Microsoft will likely make good on their promise of delivering more updates, like they’re doing with the Windows Blue update this year, and major releases more frequently it’s likely that organisations are still reeling from their Windows 7 transition. 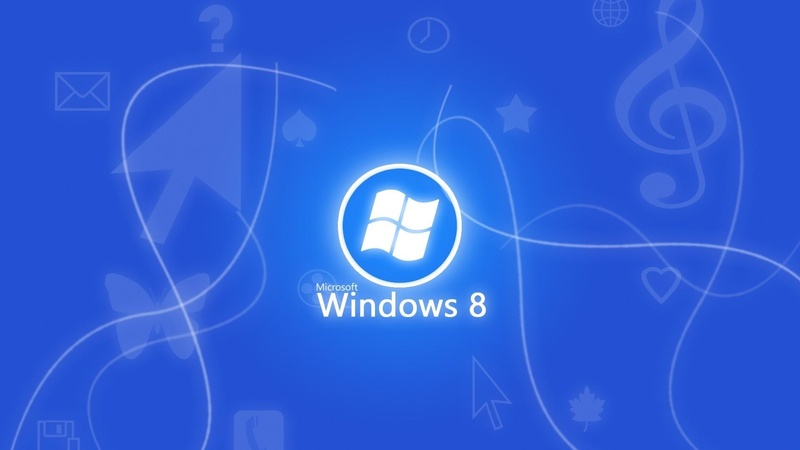 Windows 9 is still a way off with estimates for a release dating anywhere from mid-2014 to somewhere in 2015 but that’s around the time when enterprises will be looking to upgrade in order to get the next set of killer features as Windows 7 starts to show its age. Now it’s entirely possible that with the frequent Blue style updates that Windows 8 will become far more attractive for enterprise before this date but if history has taught us anything the disruptive versions of Windows are usually the ones that end up being skipped, and Windows 8 certainly fits that bill. There’s definitely potential for Windows 8 to make inroads into the enterprise space as the Surface would seem to be an ideal fit for the enterprise, even if most of the usability comes from the non-Metro side of it. Developing proper Metro applications for Microsoft’s enterprise products would go a long way to improving its market penetration and I know that IT admins at large would much prefer to maintain a fleet of Surfaces than a comparable fleet of iDevices. It’s clear that Metro was primarily consumer oriented but as we know many IT decisions a top driven in nature and if they want to get more people on board providing a better tablet experience to organizational executives could be the in that Windows 8 needs. Still after 2 decades of watching Windows releases it won’t come as a surprise if Windows 8 gets passed over in favour of its next generation cousin. What we really need to avoid though is another decade of OS stagnation as whilst Windows 7 it has the potential to keep the mentality that developed with XP alive and that just makes change more painful than it needs to be. With Microsoft being committed to more releases more often we’re in a good position to avoid this and all that’s needed is for us to continue pushing our organisations in the right direction. Increasing Microsoft’s Agility With Windows Blue. 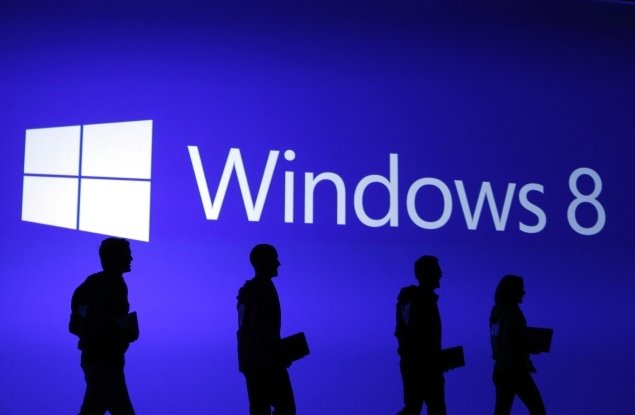 Microsoft’s flagship product, Windows, isn’t exactly known for it’s rapid release cycle. Sure for things like patches, security updates, etc. they’re probably one of the most responsive companies out there. The underlying operating system however is updated much less frequently with the base feature set being largely the same for the current 3 year product life cycle. In the past that was pretty much sufficient as the massive third party application market for Windows made up for anything that might have been lacking. Customers are increasingly looking for more fully featured platforms however and whilst Windows 8 is a step in the right direction it had the potential to start lagging behind its other, more frequently updated brethren. Had Windows 8 stayed as a pure desktop OS this wouldn’t be a problem as the 3 year product cycle fit in perfectly with their largest customer base: the enterprise. Since Windows 8 will now form the basis of every Microsoft platform (or at least the core WinRT framework) they’re now playing in the same realm as iOS and Android. Platform updates for these two operating systems happen far more frequently and should Microsoft want to continue playing in this field they will have to adapt more rapidly. Up until recently I didn’t really know how Microsoft was planning to accomplish this but it seems they’ve had something in development for a while now. Windows Blue is shaping up to be the first feature pack for Windows 8, scheduled for release sometimes toward the end of this year. 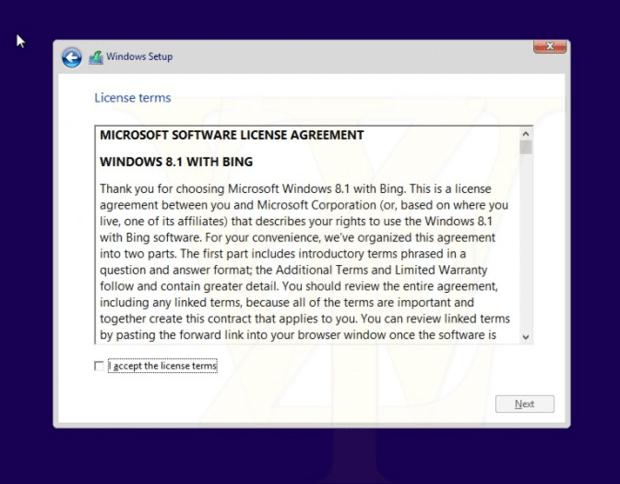 It’s also the umbrella term for similar updates happening across the entire Microsoft platform around the same time including their online services like Outlook.com and SkyDrive. This will be the first release of what will become a yearly platform update that will bring new features to Windows and its surrounding ecosystem. It will not be in lieu of the traditional platform updates however as there are still plans to deliver Windows 9 on the same 3 year cycle that we’ve seen for the past 2 Windows releases. Whilst much of the press has been around the leaked Blue build and what that means for the Windows platform it seems that this dedication to faster product cycles goes far deeper. Microsoft has shifted its development mentality away from it’s traditional iterative process to a continuous development process, a no small feat for a company of this magnitude. Thus we should expect the entire Microsoft ecosystem, not just Windows, to see a similarly rapid pace of development. They had already done this with their cloud offerings (as it seems to gain new features every year) and the success they saw there has been the catalyst for applying it to the rest of the their product suites. Microsoft has remained largely unchallenged in the desktop PC space for the better part of 2 decades but the increasing power of mobile devices has begun to erode their core business. They have then made the smart move to start competing in that space with an unified architecture that will enable a seamless experience across all platforms. The missing piece of the puzzle was their ability to rapidly iterate on said platform like the majority of their rivals were, something which the Blue wave of products will begin to rectify. Whether it will be enough to pull up some of their worse performing platforms (Windows Phone) will remain to be seen however, but I’m sure we can agree that it will be beneficial, both for Microsoft and us as consumers. 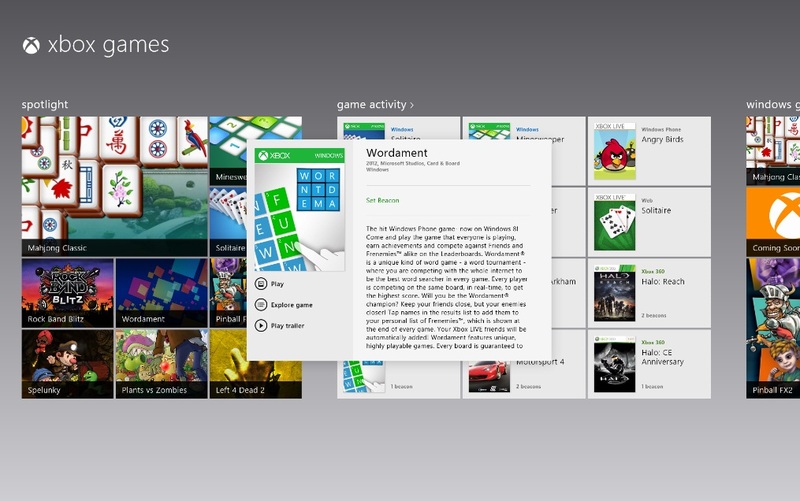 The Windows 8 Hate Is Starting To Get Old, Guys. I’ve been using Windows 8 for a good 6 months now and as someone who’s use all previous Windows versions going back to 3.1 it’s easy for me to say that it’s the best of the lot so far. Sure I don’t use the Metro interface a lot but that’s mostly because it’s not designed for the current platform I’m using it on (a PC that doesn’t have a touch interface). Still it seems I can’t go a day where someone, usually an executive from a large OEM, is bashing Windows 8 in one way or another. Considering that nearly everyone I talk to, including people who aren’t that technically inclined, seems to say the direct opposite of what they say I figured it was something worth looking into. A lot of the criticisms seem to stem from the awkward launch that Windows 8 had. Now I’m not going to try and be an apologist for this as it’s well known that even Microsoft was disappointed with the initial release. For those of us who endured the Vista launch however it’s pretty obvious why this occurred as whenever a new Windows release deviates heavily from the previous one (whether in terms of interface or underlying architecture) the sales are always lackluster as their biggest customers, the enterprise buyers, don’t want to take the risk until all the teething issues have been sorted out. More crucially though is that whilst the launch might have been an all round disappointment it didn’t take long for Windows 8 to gain some significant steam, getting on par with Windows 7 after 90 days. Several other high profile people have gone on record saying that the Surface is also seeing lackluster sales. This coming not long after many people have called the ultrabook market a failure (which is not unjustified) makes it look like Windows 8 ‘s introduction can’t have any impact on what looks like a declining PC market. Now I’m not going to argue against those numbers however if you look at past Windows releases, take 7 for instance which was released in Q4 of 2009, you’ll see that whilst there was a small boost (which wasn’t out of line with current trend growths) the previous quarter it was back to where it was before. What this means is that while you’d expect people to be buying a new computer in order to get the latest version of Windows many in fact don’t. This doesn’t come as much of a surprise as the system requirements between Vista, Windows 7 and Windows 8 aren’t that great and indeed any PC bought during the time that these operating systems has been available would be more than capable of running them. Indeed many computers have reached the level of good enough half a decade ago for the vast majority of the population so the lackluster growth isn’t surprising, nor is it anything to worry about in my point of view. I think the reason for the backlash is due to two reasons, both of which the blame does actually lie with Microsoft. The first is a bit of speculation on my part as I think Microsoft promised a boost in PC sales to the various OEMs in order to get them on board early with Windows 8. This is pretty much par for course when you’re working with OEMs on a new and risky product as otherwise they’ll be waiting until the product catches on before they throw their hat in the ring. Now whilst Microsoft could probably handle Windows 8 not getting a lot of OEM support for a while it would have been likely that Windows 8 wouldn’t have caught up to 7’s sales in the first 90 day period, severely stunting its future growth. Whilst they wouldn’t have a Vista level disaster on their hands it would’ve been much worse than what they’re dealing with now. Secondly I get the feeling that many of the OEMs aren’t too enthused about the Surface and I don’t blame them. I said a while back that Microsoft needed to keep their product in the premium range in order to not piss off their partners and they’ve done that to some extent however with the exorbitant license cost for OEMs it’s incredibly hard for them to make a comparable tablet for the same cost as the low end Surface RT. This has no doubt generated a bit of animosity towards Microsoft with many OEM executives bashing Surface at every chance they get despite it selling out almost immediately upon release. Whether Microsoft can repair this relationship remains to be seen however as the platform’s long term survivability will be made or broken by their OEMs, just like it has been in the past. Microsoft took a risk with Windows 8 and by most accounts it appears to be paying off for them, unlike their previous experience with Vista. It might not be the saving grace of the PC industry nor might it be a runaway success in the tablet market however Microsoft is not a company that plays the short term game. Windows 8 is the beginning of a new direction for them and by all accounts it’s creating a solid foundation with which Microsoft can further build on. Future Microsoft releases will then be able to deliver even more capabilities on more platforms than any other ecosystem. This isn’t the first time they’ve been on the back foot and then managed to managed to dominate a market long after it has established itself (Xbox anyone?) and I’d be really surprised if they failed this time around.